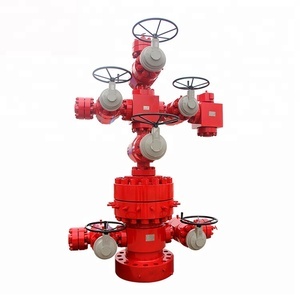 The Oilfield Wellhead christmas tree is an assembly of valves, spools and fittings for an oil well, and to design to direct and control formation fluids from the well. Wellhead christmas tree assemblies can constitute many different kinds of combinations in order to meet any special requirement. 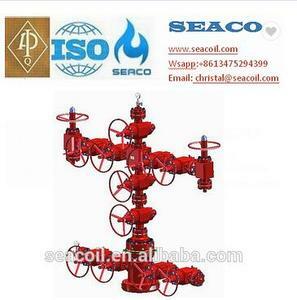 The gas production Wellhead christmas tree and tubing head are mainly used to produce gas and inject gas. 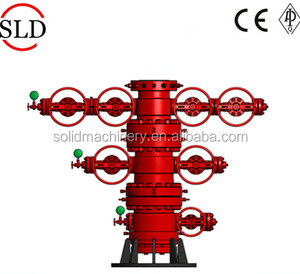 2)Features: API 6A Wellhead Equipment & X-mas Tree Wellhead christmas tree for oil well : 1.strictly according to API 6A, NACE MR-0175 standard. 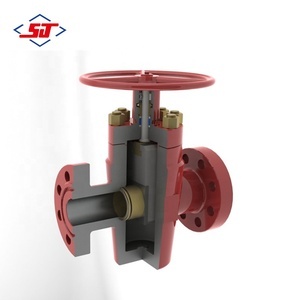 5.flange connection 6.with Valve remove-reinstall "VR" screw thread, which can change the outlet valve simply and fast under pressure 7.with series of tubing hangers which can meet any well requirement. 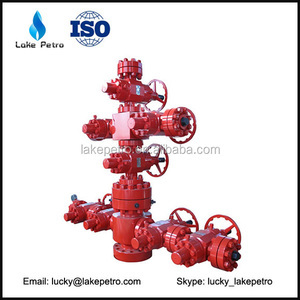 , Ltd is a professional manufacturer of various oilfield equipments and cementing accessories since 1997, restructured enterprise of SINOPEC. We have professional production technicians, advanced production test equipment and perfect quality guarantee system. 2.Can you produce products with my own brand9 Yes,we can offer OEM services. 3.Do you have any international certificate9 Yes,we have API, ISO and etc. Compact design, reliable operation - Rated working pressure 2000PSI-20000 Series available. - Metal seal available from tubing hanger to the whole X-mas tree. - Series tubing hangers available for various well completion needs. Body is made of high quality alloy steel forging, no perforation and safe performance. We realized the intelligent production of petroleum e quipment manufacturing. We are one of factories that use intelligent welding robots to produce petroleum equipment in China. 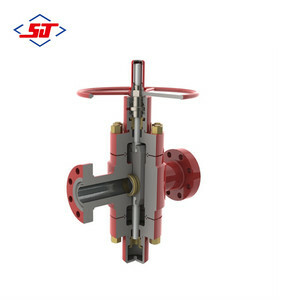 Alibaba.com offers 904 christmas tree wellhead products. About 72% of these are mining machinery parts. A wide variety of christmas tree wellhead options are available to you, such as carbon steel, stainless steel, and high manganese steel. You can also choose from drilling equipment, drilling tool, and crusher. As well as from casting, forging. 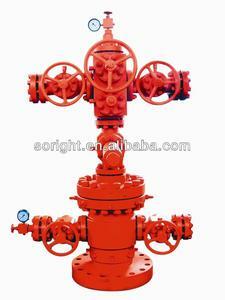 And whether christmas tree wellhead is bop, drill collar, or stabilizer. There are 819 christmas tree wellhead suppliers, mainly located in Asia. The top supplying countries are China (Mainland), Hong Kong, and Singapore, which supply 87%, 11%, and 1% of christmas tree wellhead respectively. 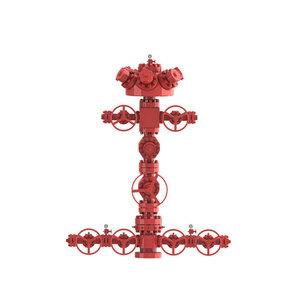 Christmas tree wellhead products are most popular in Mid East, Domestic Market, and North America. You can ensure product safety by selecting from certified suppliers, including 528 with ISO9001, 335 with Other, and 218 with ISO14001 certification.